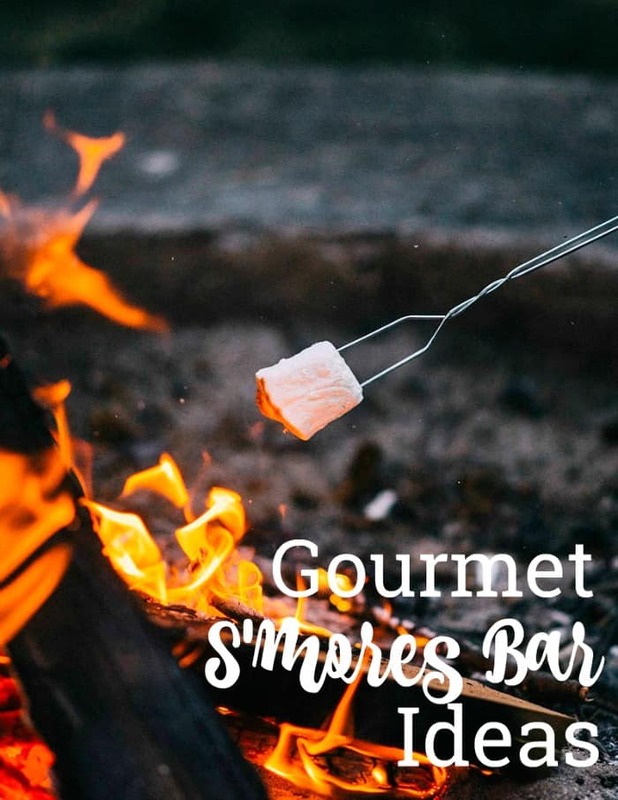 This post on Gourmet S’mores Bar Ideas is courtesy of our contributor Dawn of Revel and Glitter…Made popular by the Girl Scouts in the late 1920s, nothing says summer more than making s’mores! 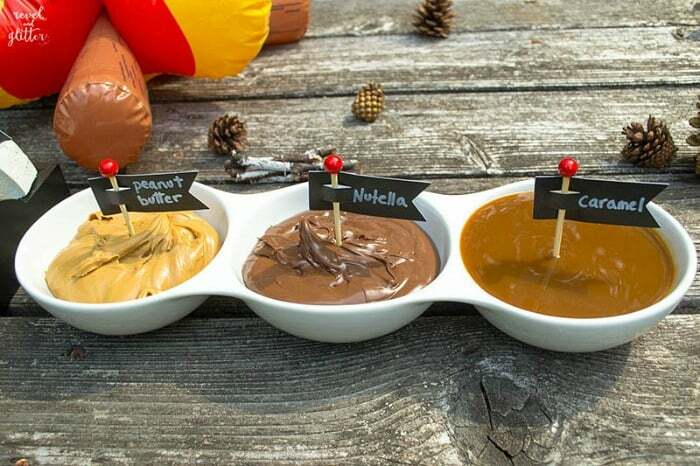 But I think fall is the perfect season for making s’mores; a cool night enjoying gooey treats sounds like perfection! 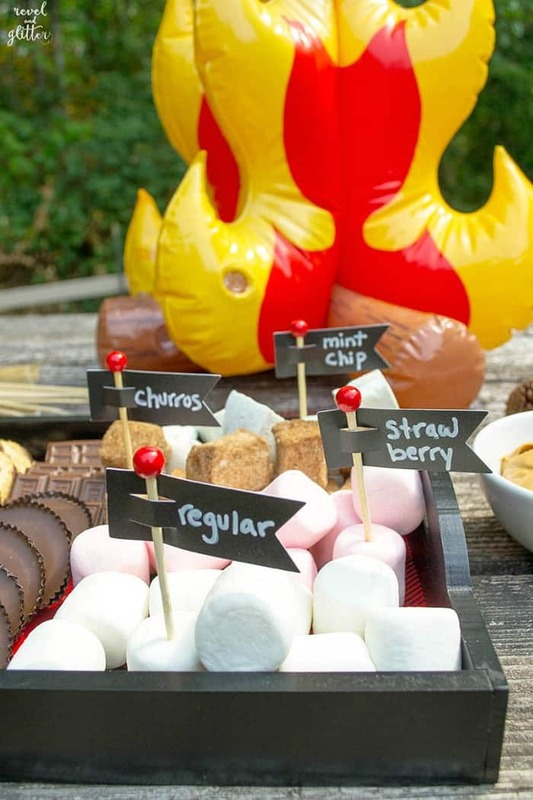 If you’ve been wanting to have a s’mores night at your house, now is the time. 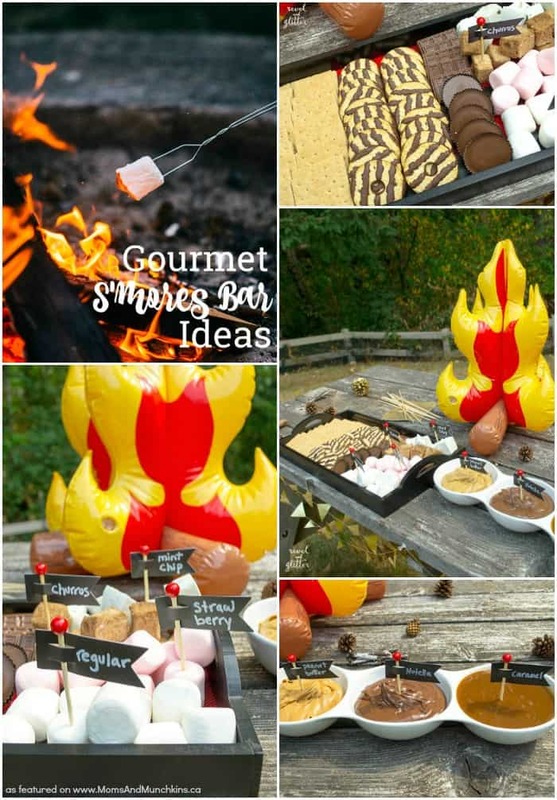 Here are a few tips and ideas for reinventing the campfire favorite with grown-up flavor combinations and create a gourmet s’mores bar for easy backyard entertaining. 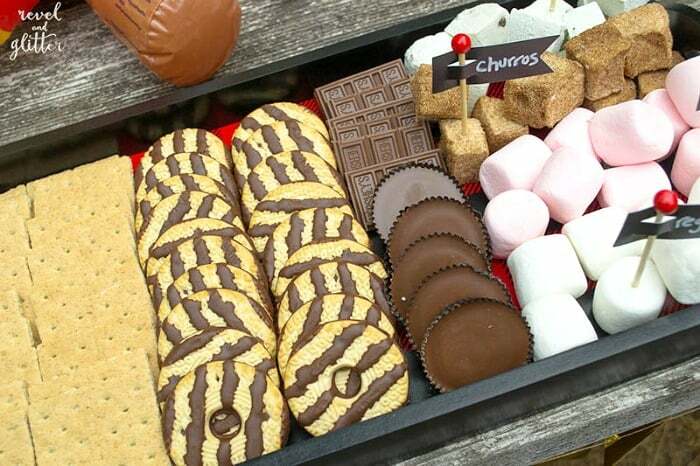 I love the idea of putting out different cookies, fillings and fancy marshmallows to kick up our treats to the next level! There are so many options out there, you are only limited by what you can put your hands on. Always start with a good base. Besides traditional graham crackers (they come in chocolate and chocolate covered), mix things up with cookies of all types from chocolate, wafers, shortbread cookies and Oreos, to pizzelle and wafer cookies. Try with butter crackers like Ritz crackers for a salty twist! What about Rice Krispy bars? Double yum! Now the fun really begins! 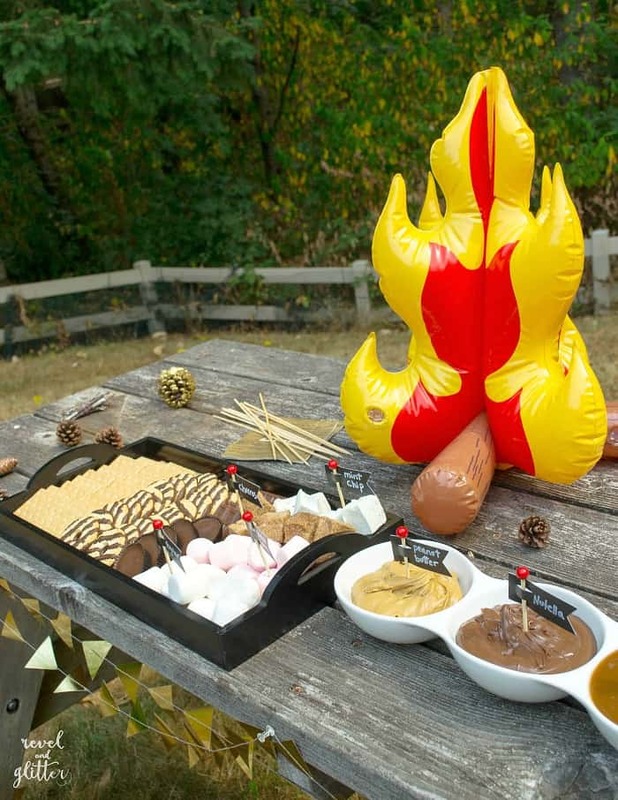 Here are just a few suggestions to offer for guests to put inside their s’mores…. Don’t forget the wet wipes for sticky cleanup! Now go forth and create a wonderful evening with family and friends. 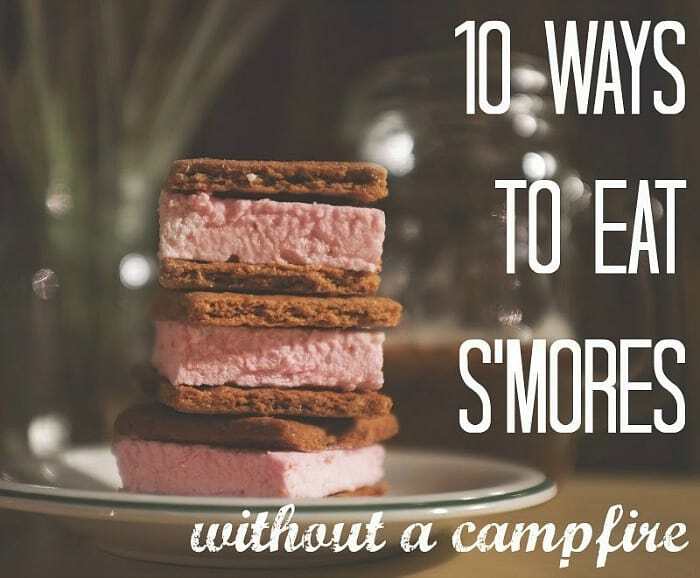 If you have the urge and not the fire for s’mores…check out these 10 tasty ways to still enjoy s’mores without a campfire. We’d like to send a big THANK YOU to Dawn of Revel & Glitter for sharing these delicious ideas with us. Over on Dawn’s blog you’ll find plenty of party ideas for all of life’s celebrations. I hope you’re ready to plan a party because she’s sure to leave you inspired! Be sure to follow her on Facebook, Pinterest and Twitter for even more creative ideas.